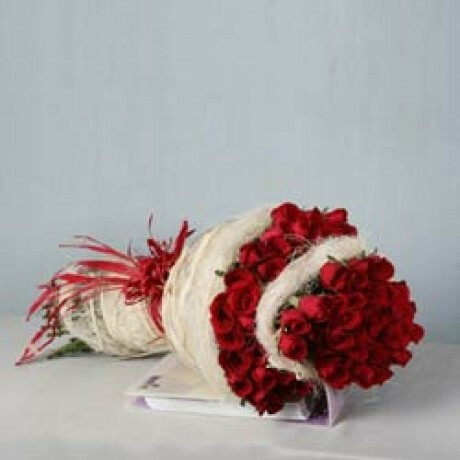 This Unique Bunch Consist of 75 red roses packed in 2 layer wrapping... This bunch is sure gonna add fire to your love life Try it to believe it ! !